Wickliff Bean – U.S. Deputy Marshal working out of Fort Smith, Arkansas. Addison M. Beck (18? ?-1883) – U.S. Deputy Marshal commissioned out of Fort Smith, Arkansas court about 1875. In the summer of 1883, he promised his wife that he would resign his commission and take a safer job after one more trip to Indian Territory He would never return. On September 27, 1883, he was riding with posseman, Lewis Merritt, looking for a Cherokee Indian named John Bart, who was wanted for whiskey violations. They came upon him east of Webbers Falls working in a cornfield with a man named Johnson Jacks. However, Bart had been warned and as the officers approached Bart and Jacks opened fire, killing Beck with a shot in the head. Lewis Merritt returned the fire, only to be hit in the chest. However, he managed to hit Johnson Jacks twice in the stomach, before receiving another shot in the head. While lying almost dead on the ground, Jacks then approached the prone man, shooting him several more times and beating his head in with a gun. Bart then helped the wounded Jacks to a nearby cabin before making his escape. The U.S. Deputy Marshals were then out in full force and later arrested Jacks, who confessed to killing both officers. 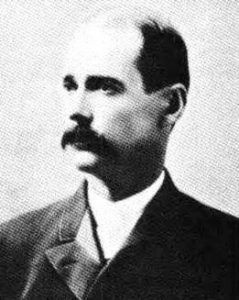 Gabe L. Beck – U.S. Deputy Marshal commissioned in the Northern District of Indian Territory assigned to the Muskogee Court in April of 1895. John Beckwith (1853-1879) – A native of New Mexico, John was born on January 14, 1853 and along with his older brother Robert, ran a cattle ranch on the east side of the Pecos River in Lincoln County. Both John and his brother were working as deputies under Sheriff William Brady, when a posse was sent out to attach rival faction leader, John Tunstall’s cattle. When the posse met up with Tunstall, the rancher refused to give over his herd and was killed on February 18, 1878. This event set off the infamous Lincoln County War Billy the Kid and the rest of the McSween ” Regulators,” John’s brother, Robert was killed during the climactic battle in Lincoln in 1878. John was shot to death the following year by John Jones. Robert “Bob” W. Beckwith (1850-1878) – The son of a rancher, Bob was born on October 16, 1850 and when he grew up he worked as a rancher with his younger brother John in Lincoln County, New Mexico. By 1876, the pair had established a ranch of their own. When the bitter rivalry that would spawn the Lincoln County War began, the two became involved in the Dolan– Murphy faction and were deputized. On February 18, 1878, the brothers were with a group of deputies who stopped rancher John Tunstall, killing him and setting off the infamous Lincoln County War. Bob was killed in the climactic battle in Lincoln on July 19, 1878. Johnny Behan (1845-1912) – Corrupt Cochise County, Arizona Sheriff, Behan sided with the Cowboy faction against the Earps in Tombstone. Bob Bell – Served in Company D of the Texas Rangers in 1887. Hamilton Butler Bell (1853-1947) – Sheriff of Ford County, Kansas for three decades following lawman Bat Masterson. He arrested more alleged outlaws, with a warrant, than any other lawman in the West. John X. Beidler (1831-1890) – Born in Mount Joy, Pennsylvania, Beidler was raised at Chambersburg where he went to school for a brief time and worked as a shoemaker and a brickmaker. Later he made his way west, landing in Kansas where he worked a small farm. During his time in Kansas, he became friends with the abolitionist John Brown and joined with other “free-soilers” in making attacks on border ruffians during the Kansas-Missouri Border War. After Brown was executed after his raid on Harper’s Ferry, Beidler moved to Texas and Colorado before finally landing in Montana. During these transient times, he worked in a number of positions including store clerk, prospector, pack train operator, and freighter. In Montana, he worked as a stagecoach shotgun guard a soon joined a local Vigilante Committee to help control the lawless territory. Enthusiastic in this role, he quickly became the group’s chief hangman and participated in a number of executions, including that of Henry Plummer. As a “reward” for his work on the Vigilante Committee, he was given the jobs of Customs Collector and U.S. Deputy Marshal. He remained in Montana until he died on January 22, 1890, and is buried in Helena. James W. Bell, aka: Lone Bell (18? ?-1881) – Bell served as a Texas Ranger in the mid-1870’s in San Saba County, Texas. Sometime later, he moved to New Mexico, where he worked as a deputy under Pat Garrett in Lincoln County during Lincoln County War. When Garrett apprehended Billy the Kid in December 1880, the outlaw was convicted and sent to Lincoln County to await execution. The following year, when Billy was being held at the jail, Bell actually befriended the young outlaw and was extremely kind and considerate to him. But for Bell, his consideration wouldn’t matter. In April, while Pat Garrett was out of town on business, Billy was left in the hands of Deputies Bell and Bob Ollinger. Somehow, Billy obtained a smuggled gun and on April 28, 1881, he killed both deputies and escaped. Leo E. Bennett – U. S. Marshal in the Western District of Arkansas, Bennett was also a physician, providing care for the prisoners in the Fort Smith, Arkansas jail. Sam Bernard (1880-1964) – Lincoln County, New Mexico deputy to Pat Garrett. Morris Berstein – A deputy sheriff in the New Mexico Territory. Phil Best – A Texas Ranger with Company B in 1889 under Captain Sam McMurry. George Bingham – A Texas Ranger killed by Jesse Evans. Steve Birchfield – Served as deputy sheriff of Cochise County, Arizona under Sheriff C.S. Fly. He rode with the posse that battled the Black Jack Ketchum Gang at Mud Springs. B.C. Birchfield – U.S. Deputy Marshal commissioned in the Western District at Fort Smith, Arkansas. He was with Deputy Marshal Newton La Force when La Force was killed by outlaws Buss Luckey and Tom Root on December 5, 1894. 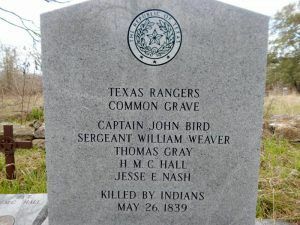 Texas Rangers killed in battle marker. John Bird (1795-1839) – Born in Tennessee in 1795, Bird served with the Jackson and Creek campaigns during the War of 1812. In 1829, he married and the couple had four children. He later moved his family to Texas where he received a land grant in Burleson County. In 1836, Bird fought the Mexicans during the Texas Revolution. Having already acquired a reputation as an Indian Fighter and soldier, he joined the Texas Rangers in 1839 and was immediately made a captain. After serving for only one month, Bird was commanding a company of about 35 Rangers on May 26, 1839, when they attempted to catch up with some Comanche braves who they believed had been raiding the area. Unable to catch the Indians, they retreated only to be ambushed by about 200 Comanche, Caddo and Kickapoo Indians at what would later become known as Bird’s Creek. Fighting a fierce battle, the Rangers reported having killed about 30-40 Indians and wounded about as many. 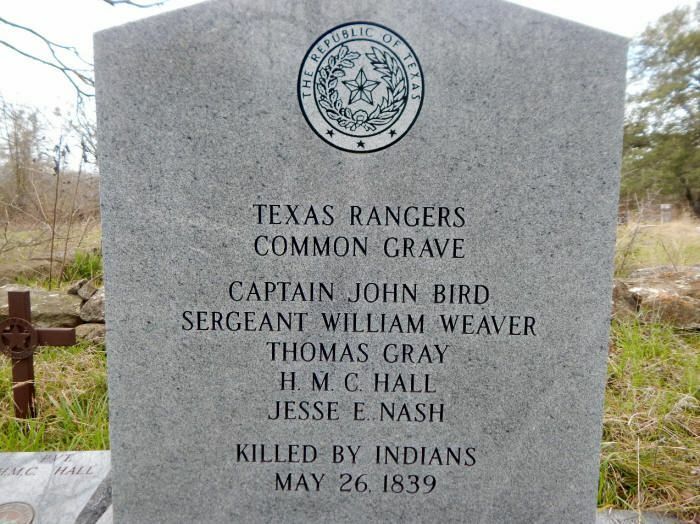 However, five Texas Rangers also lost their lives including John Bird. W. D. Blackard – U.S. Deputy Marshal commissioned in the Northern District of Indian Territory, assigned to the Muskogee court in July of 1890. Leslie F. Blackburn – A U.S. Deputy Marshal in Tombstone, Arizona in 1881-82, Blackburn reportedly killed a “bad man” named Dunne in Virginia City, Nevada before coming to Tombstone in 1881. He was named a U.S. Deputy Marshal in March 1881 and served along with Virgil Earp in that capacity. Blackburn’s primary duties were working as a Customs Collector for Judge Wells Spicer, the U.S. Court Commissioner for southeastern Arizona, but had other duties as well. In the summer of 1881, he formerly charged Doc Holliday with attempting to rob the U.S. Mail and though Holliday was briefly jailed, nothing came of it. 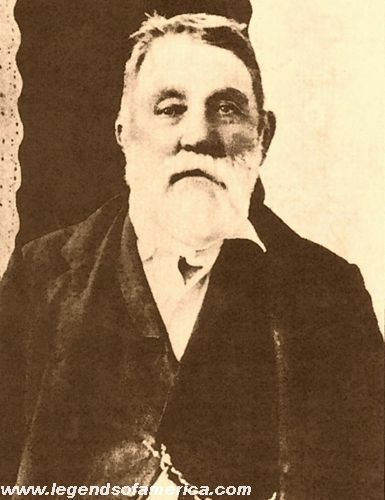 Doc Blust – U.S. Deputy Marshal commissioned in Oklahoma Territory, who worked with fellow Deputy Marshal B. L. Nutting at Perry protecting the claim office during the 1889 land rush.